Sanjiv Mehta re-created history by becoming the Indian owner of the East India Company, the company that ruled Indians for over 200 years. Sanjiv Mehta is a Mumbai born entrepreneur, who completed the process of buying East India Company in 2005. Sanjiv Mehta moved to Britain around 20 years ago. It was indeed a long, personal as well as emotional journey for Sanjiv Mehta, who now acquired the 400-year-old brand, already known to millions of people around the world. With about USD 15 million investment and inputs from a range of experts, Sanjiv Mehta re-launched East India Company by opening a luxury food store in London. It is a dream come true to build a business like this and to acquire a brand like this, said the entrepreneur. The East India Company was originally formed to pursue trade in East Indies, but it ended up mainly trading in the Indian sub-continent, Qing Dynasty China, North-West Frontier Province and Baluchistan. The company was formed in 1600, after grant of a charter by Queen Elizabeth I. The company was into the trading of commodities like cotton, silk, indigo dye, salt, tea and opium. 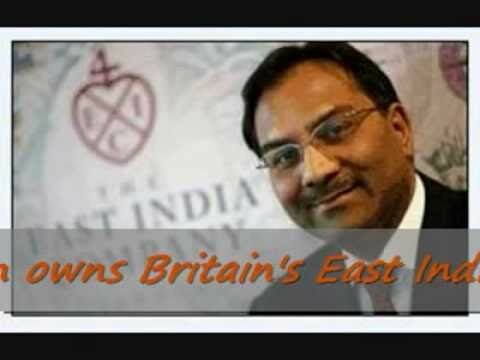 The shares of East India Company were owned by the wealthy merchants and aristocrats and the government had no direct control over it. The company eventually came to rule large areas of India with its own private armies, exercising military power and assuming administrative functions. That was the beginning of the British Empire in India. Company rule in India effectively began in 1757 after the Battle of Plassey. The company was dissolved in 1874. Put yourself in my shoes for a moment. On a rational plane, when I bought the company I saw gold at the end of the rainbow. But, at an emotional level as an Indian, when you think with your heart as I do, I had this huge feeling of redemption; this indescribable feeling of owning a company that once owned us – Mr. Mehta said in an interview. It was indeed an amazing journey for Sanjiv Mehta. Before acquiring the East India Company, he travelled around the world and visited former EIC trading posts and museums, reading up records and meeting people, who understood the business of that time. Now Mehta’s shop in London is stocked with 350 luxury products, including 100 varieties of tea, chocolates, spices and mustards developed by the company from across the world. Mr Sanjiv Mehta is also planning to open up stores in India in this year itself. EIC products in India will include fine foods, furniture, real estate, health and hospitality products.